Rapunzel is a German fairy tale in the collection assembled by the Brothers Grimm, and first published in 1812, as part of Children's and Household Tales. The story of a lost, young princess with long magical hair who yearns to leave her tower. When an intruder climbs into her tower, she accepts the help to take her out into the world which she has never seen. Invite her out of her tower for your next princess party! Be sure to invite Flynn Ryder to your party as well for all of the kids who love this adventure couple! Get Tangled up in stories with your favorite lost princess! 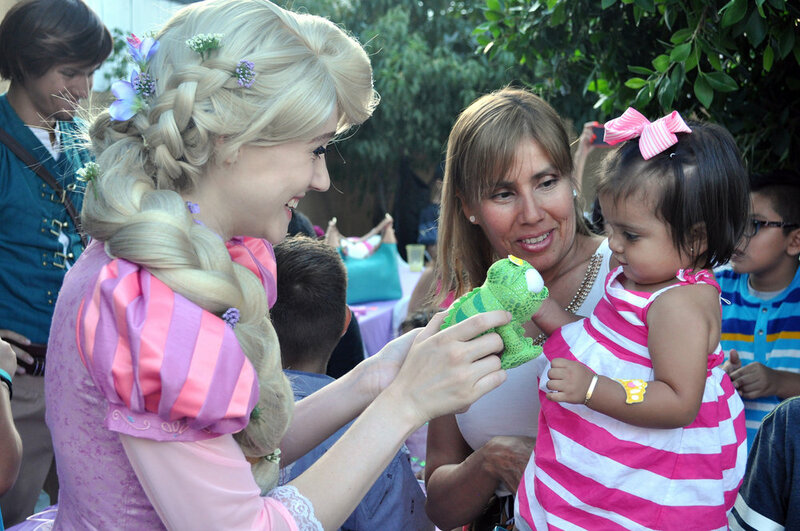 Invite our Rapunzel character now to your event to make your party a unique adventure!